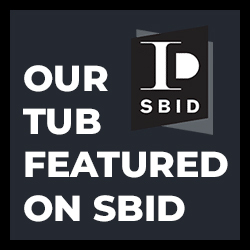 We at Coppersmith® Creations are proud to have our copper bathtub featured in Society of British and International Design’s (SBID) quarterly magazine eSociety – vol-7 issue-1. 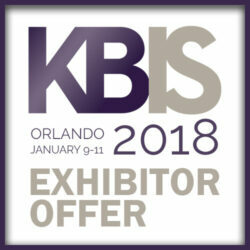 Offering our products for display to the interested exhibitors of KBIS Orlando Jan 2018 Show. 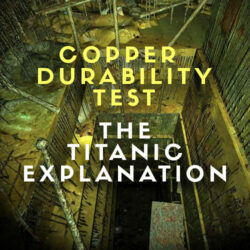 The copper, brass & bronze artifacts found from the wreckage of largest ship ever built the RMS Titanic is a testimony to the life of metal lasting a lifetime. 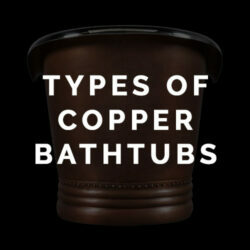 In this blog post we are going to get you acquainted with the different types of copper bathtubs available at Coppersmith Creations. 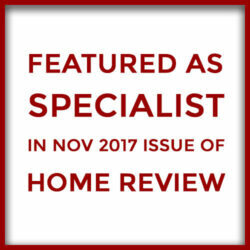 An excellent decor item for enhancing your outdoor parties and, at the same time, keeping your beverages cold and refreshing. 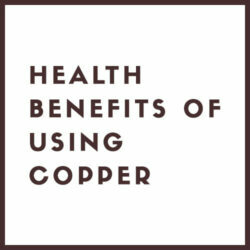 In this blog post, we are going to give you some insights into the health benefits of copper. 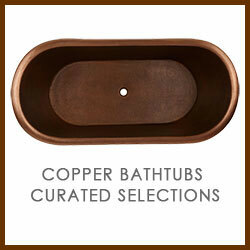 A curated selection of best copper bathtubs from Coppersmith Creations. 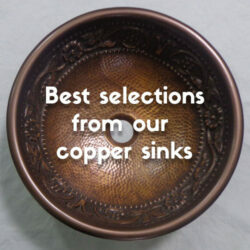 This post covers the best selections from our copper sinks. 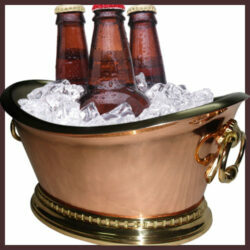 We have tried to make your copper sink selection process a bit simpler. 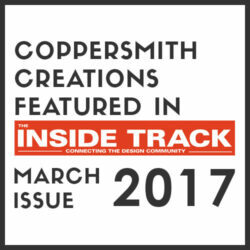 Coppersmith Creations is proud to have its products featured in the March 2017 issue of the Inside Track Magazine. 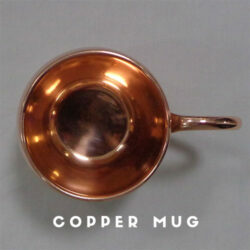 Because of its ability to maintain the temperature of its contents, copper mugs can keep a coffee hot or a cold drink cold for a longer period of time. 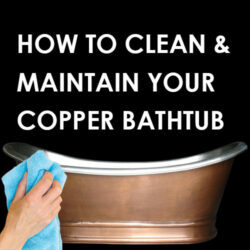 Coppersmith Creations realized after being repetitively asked by our buyers about cleaning copper bathtub, that we may write a handy guide to clear all doubts.